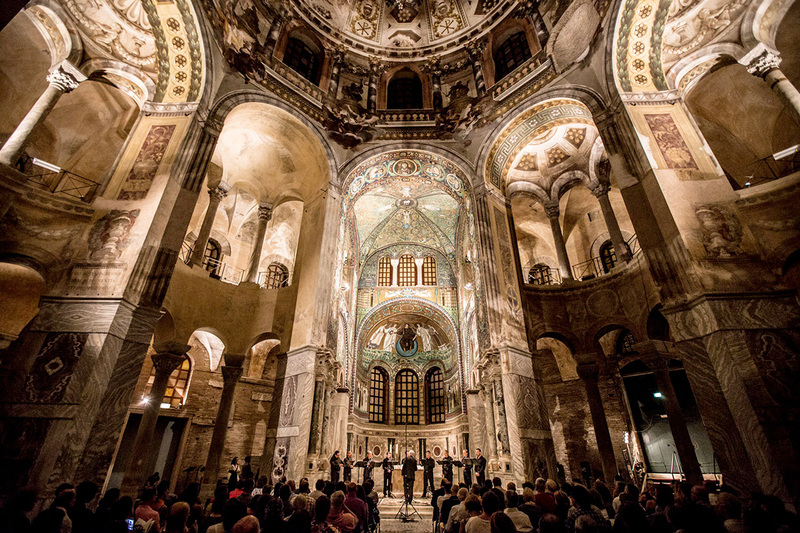 The concert focuses on the rediscovery of the sacred repertoire of the XVI-century Venetian School, whose greatest exponent was Giovanni Gabrieli. 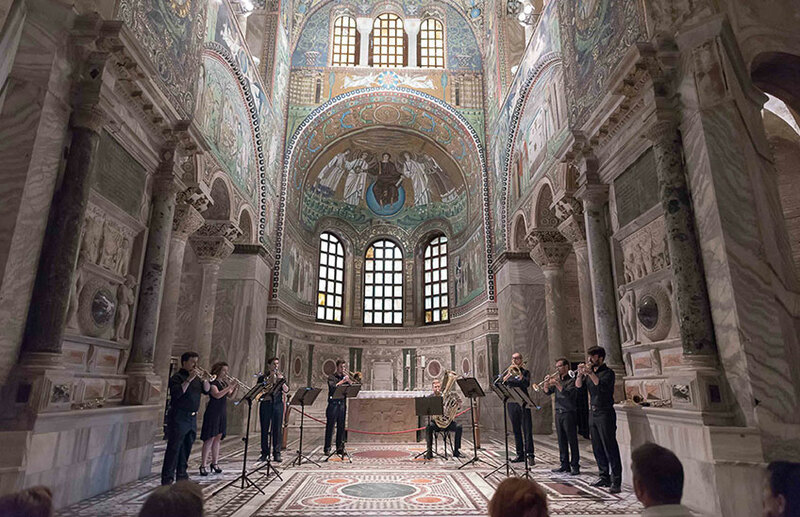 Sacrae Symphoniae is his best and most important collection of motets and “canzoni per sonare”, a testimony to the author’s great inventiveness and extraordinary innovative force. 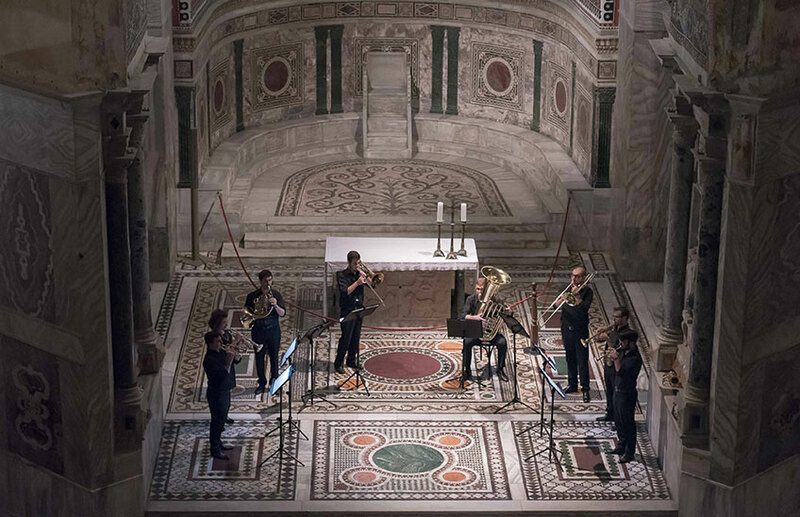 It is worth-remembering that Gabrieli was one of the first composers who wrote expressly for specific instrumental ensembles, and who clearly marked dynamics in his scores. This is why his Sacrae Symphoniae anticipates the structure of Vivaldi’s concerto grosso. 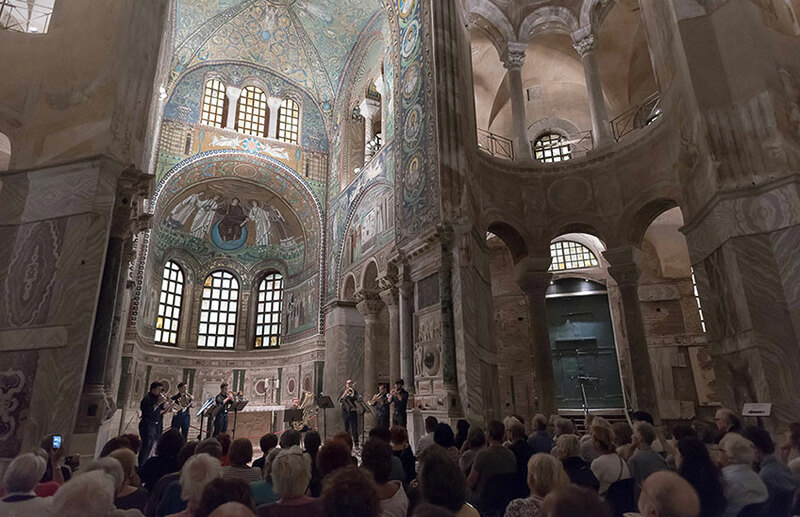 This score was also the first in a repertoire characterized by another fundamental trait: the “double choir”, which magnificently exploited and enhanced the architecture of ancient basilicas for striking spatial effects on the audience. 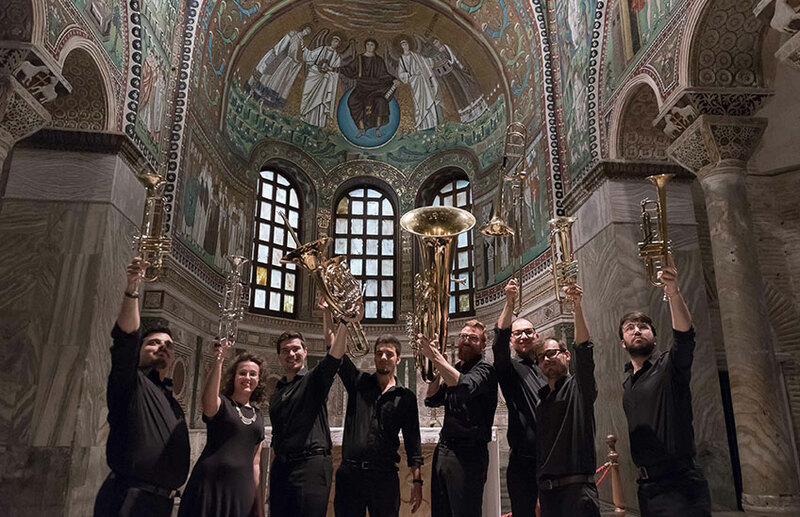 The instruments used in XVI-century Venice were generally wind (mainly brass) instruments: this is why Romagna Brass feel they are indebted to Gabrieli, who first composed with the sound of their instruments in mind.